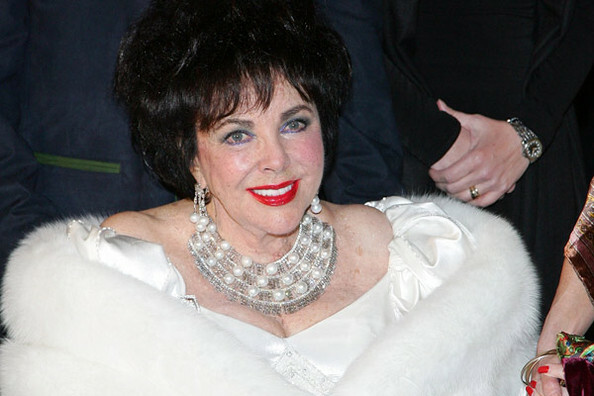 Two-time Oscar winner Elizabeth Taylor died in the early hours of Wednesday morning at 79 after battling congestive heart failure. Taylor had been hospitalized two months ago at the Cedars-Sinai Medical Center in Los Angeles, where she was treated for heart problems, and it was there she passed away. Her son Michael Wilding released a statement, saying: “My mother was an extraordinary woman who lived life to the fullest, with great passion, humor and love. “Though her loss is devastating to those of us who held her so close and so dear, we will always be inspired by her enduring contribution to our world. Her remarkable body of work in film, her ongoing success as a businesswoman, and her brave and relentless advocacy in the fight against HIV and AIDS, all make us all incredibly proud of what she accomplished. The British-American star is acknowledged as one of the greatest actresses of Hollywood’s "Golden Age," starting her career at age 11 and appearing in classics such as Cat on a Hot Tin Roof, The Last Time I Saw Paris and Cleopatra, where she played the titular role of the Egyptian pharaoh. Taylor won two Best Actress Oscars in the 1960s, for her roles in Who's Afraid of Virginia Woolfand Butterfield 8. A lover of the silver screen until her last days, Taylor reportedly spent her 79th birthday on February 27 watching the Oscars from her hospital bed. The screen legend was just as famous for her colorful private life as she was for her glittering career and was wed eight times to seven different men: Conrad Hilton, Michael Wilding, Michael Todd, Eddie Fisher, Richard Burton, who she was divorced from twice, John Warner and Larry Fortensky. She also developed a strong friendship with Michael Jackson and they stayed close right up until his death in June 2009. Taylor made a rare public appearance to attend the King of Pop’s private funeral in September 2009. In the wake of his sudden passing, she released an emotional tribute to the "Billie Jean" singer, saying: "I loved Michael with all my soul and I can't imagine life without him. We had so much in common and we had such loving fun together. I don't think anyone knew how much we loved each other. It was the purest most giving love I've ever known."